Climate change, Maine jobs, and education: the topics you asked on social media using #MEGOVDEBATE for the first televised gubernatorial debate during our Voice of the Voter forum. AUGUSTA (NEWS CENTER Maine) -- Climate change, Maine jobs, and education: the topics you asked on social media using #MEGOVDEBATE for the first televised gubernatorial debate during our Voice of the Voter forum. In responding to some of your questions Wednesday night, we heard several claims from Maine's 4 candidates for governor. When responding to Lyn Sudlow's question about the CO2 emissions and the environment, Independent Alan Caron says it's impossible to have an economic plan for Maine that doesn't include the effects of climate change. "We are seeing climate effecting us every day," said Caron. "Lobster populations are moving four miles a year." 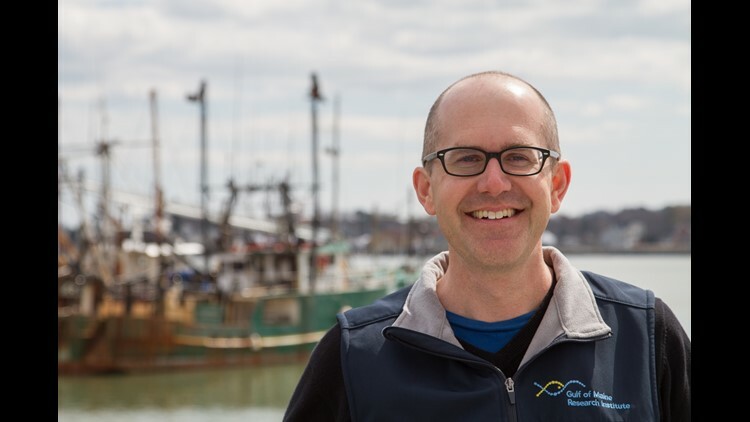 To verify, our source is Dr. Andrew Pershing, Chief Scientific Officer at the Gulf of Maine Research Institute. "The lobsters are not literally marching up the coast," he writes. "Rather, there has been a major shift in lobster productivity." Dr. Pershing says Caron cited a statistic from Rutgers University. He says while it's technically accurate statistics like this can be really challenging to interpret. He says the lobster population is shrinking in southern New England because of the warming water, which was the subject of a claim made by Democrat Janet Mills. "The Gulf of Maine is warming faster than 99% of the world's oceans," said Mills. Dr. Pershing says that is correct. Over the last 30 years, the Gulf of Maine warmed at a rate more than three times the global average. Over the last 15 years, this region has warmed at more than seven times the global average rate. "The number 1 detriment to Maine's economy right now we're 50th in workforce," said Republican Shawn Moody. Moody says there's a need for more skilled workers in Maine. According to a 2017 scorecard from CNBC for America's Top States for business Maine did rank 50th in the "workforce" category. The report cited a lack of a "skilled, productive workforce," but did rank our state seventh in the "quality of life" category. Many of you also asked about investing in education. "We have not raised starting teacher pay statewide since 2005," said Independent, Terry Hayes. Hayes' claim is true. According to the latest numbers from the National Education Association, the average starting salary in Maine is $33,876. In 2005, legislation passed to set the minimum teacher salary to $30,000. More than a decade later, a bill was proposed to raise the minimum teacher salary in Maine to $40,000 a year, but it died between houses. In Maine educator pay is decided at the local level. Our Voice of the Voter series of forums continues Monday with Maine's 1st Congressional District candidates at 7 p.m. Send us your questions using #ME01Debate.